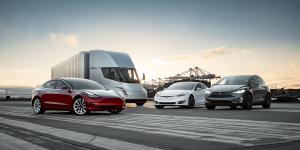 There is a reason why the production figures were higher than the deliveries: At present, the Tesla electric motors are only produced in San Francisco and shipped from there to customers all over the world. That is why Tesla expects production volumes to remain higher than deliveries in the future. This could change especially at the beginning of 2020, as Tesla plans to start production of the Model 3 in its Gigafactory 3 in China at the end of this year. However, high volumes are not expected to roll off the assembly line until 2020. 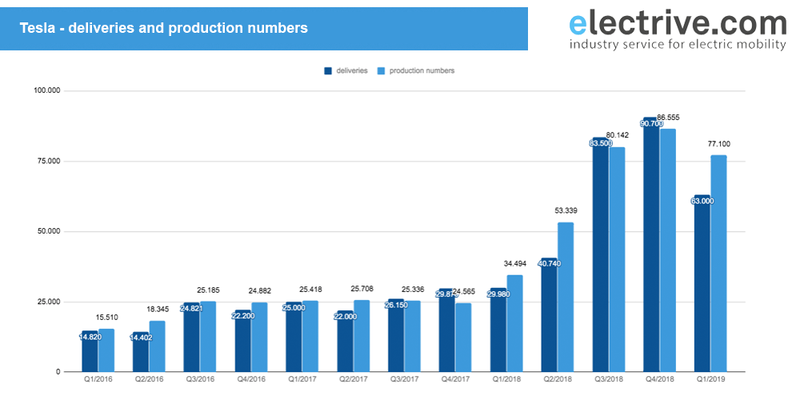 Tesla does not give any reason for the decline in production in the past quarter. The Californians, however, at least justify the decline in deliveries with the challenges posed by the start of deliveries of the Model 3 to Europe and China. For several weeks now, thousands of Model 3s have been shipped to the European and Chinese markets. This is reflected above all in the number of new registrations. The front-runner in terms of new registrations in Europe is Norway. There, BEV registrations reached a market share of 58.4 percent last month. The Tesla Model 3 (5,314) accounted for around half of the 10,728 battery-powered passenger cars. In Germany, 36 per cent (2,367) of the 6,616 new electric cars were Tesla vehicles. The majority are attributable to the Model 3. In the Netherlands, 2,195 new Model 3 cars were put on the road. In France, Model 3 registered 1,153 new cars. And in Sweden, the number was 1,005 new Model 3s. As far as Switzerland is concerned, Tesla recorded growth of 327 per cent in the first quarter of 2019. 1,597 Californian electric vehicles were delivered there. By way of comparison, 1,462 Tesla electric cars were delivered in 2018 as a whole. 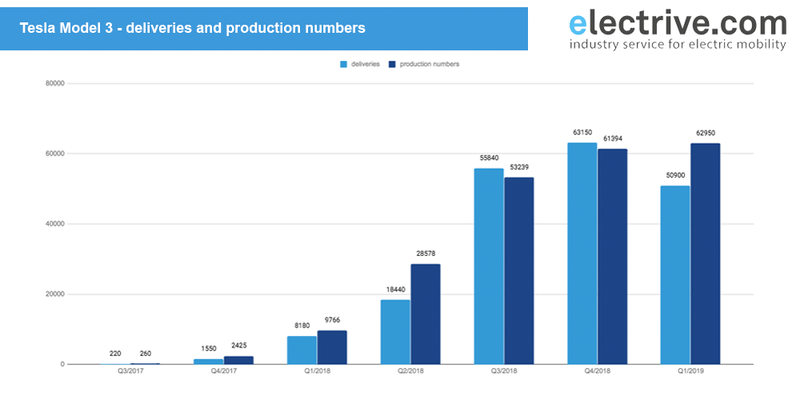 Overall, the market for electric vehicles in Switzerland has grown strongly. Specifically by 131 per cent to a total of 3,023 vehicles. More than half (52.8 percent) of the e-cars are Tesla vehicles. The overall market share of electric cars in Switzerland is currently 4.2 per cent.